What ever may be the latest sensation in the market, it fails to snap the lime light from any of the three Apple iPhones. Undoubtedly, the iPhone has been the most successful and most talked about product we have seen till date, and the hype around it never seems to die down. While Apple is doing its part to enhance user experience by stuffing in some great additions on its every new version, you can further enrich your experience with some cool accessories. Here, we compile a list of 6 Best iPhone Accessories that are tried and tested on all the three iPhones – the original, iPhone 3G and iPhone 3G S. Well, the bare necessities like the USB Adaptor, Charger etc. are overlooked and only purely optional accessories are listed out here. iPhone being Apple’s product is expected to deliver rich music experience, which indeed it does with its headphones. But what if you are in a mood to share it with everyone around you? 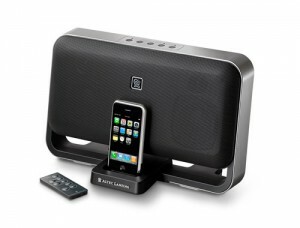 Just dock it on Altec Lansing T612. It claims to be the first docking speaker to be made especially for iPhone. 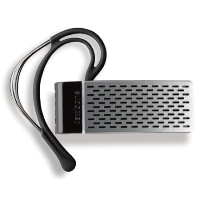 The Altec Lansing lives to its reputation with great sound quality and stylish looks. This dock also supports the iPod. You can also dial and receive calls while the iPhone is docked and playing music, and resume when the call ends. It comes with a remote for controlling all of its operations. T612 also supports iPod/iPhone charging as expected. Also a headphone jack has been provided to connect your own headphones, while still docked. Do you get lost too often with the complicated button actions? Then this one is for you. The iSoniTalk has just one button, so there’s no fumbling with complicated controls. If you get an incoming call, simply press it to pause your music and take the call and when you’re done, press it again to hang up to resume your music. The iSoniTalk can also be used to simply pause and play music when ever you need to take a break from music. It is compatible with virtually all headphones and it is specifically designed to be compatible with iPhone recessed headphone jack. It features a 24k gold mini-plug for optimal signal transfer and corrosion resistance. iPhone users complaint the most about bad SMS features and its battery life. Nothing much can be done to the SMS part, but you can surely have an extended battery backup so that you can enjoy your iPhone for longer durations. mStation mophie is a great find to help you tackle the battery problem. mStation’s mophie backup battery extends your iPhone’s charge to an additional 250 hours of standby time, 8 hours of talk time, 6 hours of Internet use, 7 hours of video playback, and 24 hours of audio playback. The juice pack comes pre-charged. An ergonomic, soft, non-slip case houses its rechargeable lithium polymer battery and integrates a 4 LED ‘charge status’ indicator and its own 30-pin dock connector. This one is a must for a person who is a heavy user and a frequent traveller. This one is for people like me who hate to spoil the looks of the iPhone with ugly looking opaque covers, that are in fact spoilers. Case-mate gets three cheers for its acrylic protective case for not just employing the word “naked”, but for also having it really transparent. 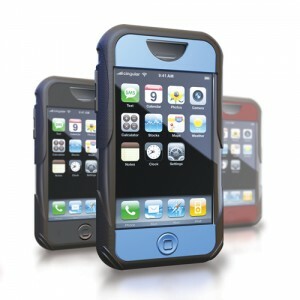 The electrostatic friendly design, ‘barely there’ looks, and solid protection make it a great choice. Most importantly, it fits the iPhone 3G’s new form factor amazingly well. One needs to protect his valued iPhone and infact it is a must. The famous iPod protectors and accessories maker iSkin offers the iPhone the same high quality protection with the iSkin Revo. This silicone case that covers all surfaces, ports, and controls on the iPhone protects it from scratches, dust and from even accidental drops! . 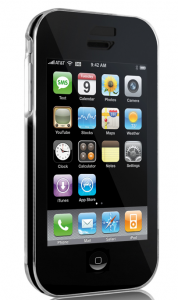 It features a touch-compatible ViSOR, an ultra-clear polycarbonate scratch resistant screen guard. It also comes with a cool “privacy film” which prevents others from seeing your iPhone screen. The iSkin revo for iPhone is available in five colours. This very light and comfortable Bluetooth Headset is a beauty. It offers excellent voice clarity and the built-in Noise Shield technology removes virtually all background noise. 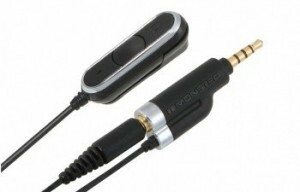 The design is very innovative and is extremely comfortable on the ears. The expensive Jawbone’s perforated shield curves match the outline of your face and the inside surface made from medical grade plastic provides a soft and smooth feel on the skin. This sets it apart from all other Bluetooth headsets. For someone who spends a lot of time outdoors, this is the headset for you. It is recommend that you get the black or gray version as the red one may not be so impressive. I have been looking for the cover to my iPhone. CaseMage seems to be better than others. Thanks for the share. It is amazing to see how many accessories there are for Apple products! They are absolutely everywhere.